Our roots trace back to the world’s first public tree climbing classes, designed by Tree Climbers International in Atlanta, Ga. Tree Climbing Planet’s founder helped established the courses that are now recognized internationally as the foundation for technical tree climbing techniques. All courses are recognized and approved by TCI. Upon successful completion, participants are presented with a certificate of accomplishment. For more than 20 years, we have trained thousands of people with varied interests, so we know how to integrate climbing techniques that best suit individual needs. We adapt our techniques to the individual rather than the individual having to adapt to the climbing technique. Not everyone has the strength to haul themselves up a rope or the desire to carry copious amounts of gear with them into the tree while connecting with nature. We believe in quality hands-on training. Teaching from worldly experience – not just knowledge or theory – we know what works for the individual. 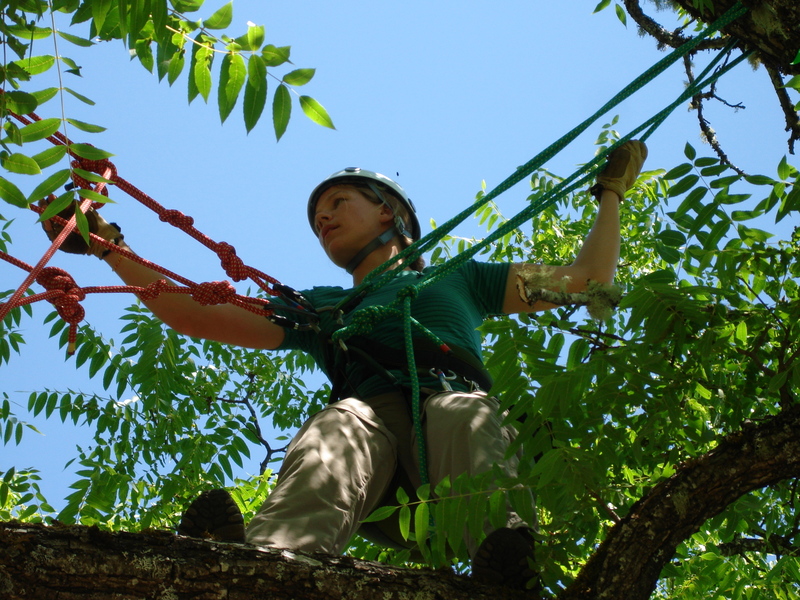 The majority of our classes are designed for the serious student who wishes to truly integrate tree climbing into their lives. Our student/instructor ratio is small, which guarantees personal attention and guidance while learning this art. Please contact us for questions on which course is best suited for you. We will be happy to help you decide the perfect branch on which to hang your rope.